Photo taken at La Plaza de Cultures y Artes Jardín, managed by Johanna Larios. "We are solid! We are strong! We give something unique to the earth. We allow the earth mother to make milk and we bring it into rhythmic flow. Etherialised, rarified, it flows through the cosmos. We make milk alchemy. We are anchored. I am a group. I am a group of beings. My "poison" is the contraction that gives birth to the soul. Then you too can flow rhythmically, strongly, live in expansion, yet anchored." Butterfly gardens have been all the rage for quite some time now. Garden nurseries have set-up there own mini ones filled with tropical pollinator plants and even the Natural History museum. 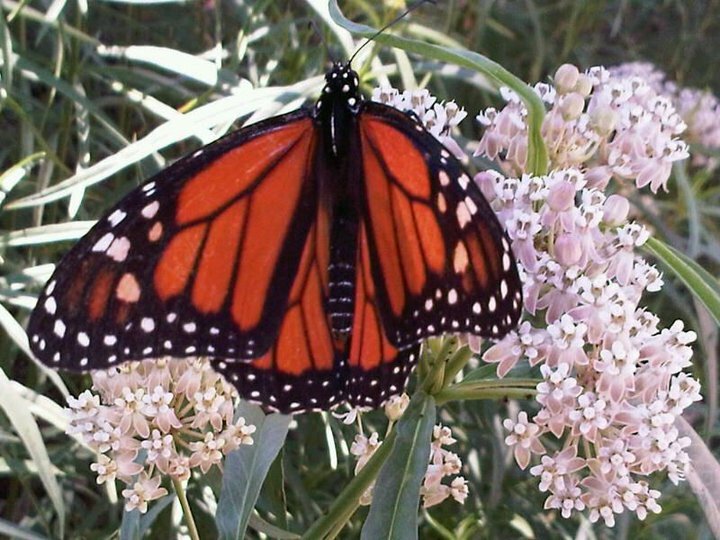 As fascinating as it is to see the cycle of the Monarch in abundance, the tropical milkweed trend is hindering their natural migration and life cycle and introducing more disease. May we be mindful and encourage the planting of native plants for pollinators, especially milkweed. Tropical milkweed has orange, yellow, and reddish flowers. The tropical variety doesn't go completely dormant in the winter making the monarchs stick around and not join in on the migration to Mexico. There are other issues too with planting this variety, for example, scientists also believe that the year-round access welcomes OE spores and can spread the disease. For those using the tropical variety for healing or educational purposes that don't want to uproot and eradicate this variety, you could simply cut back during the winter to encourage natural migration patterns. 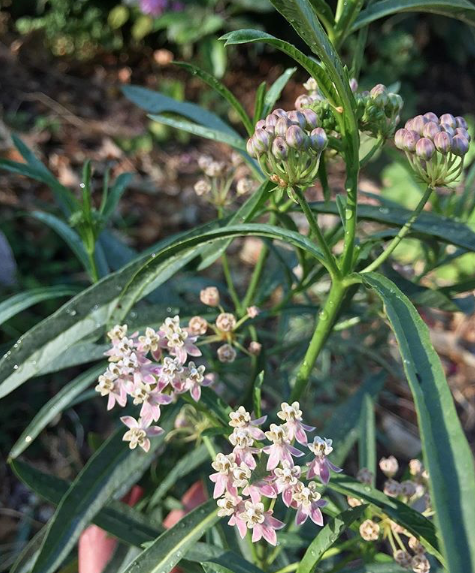 I look forward to supporting a local Native Plant nursery once we're ready to introduce a native milkweed to our garden again. We've had one before but it didn't produce offsprings, we'll have to re-introduce some more. Thankfully, this year our local hills have abundant populations of milkweed growing along trails thanks to some decent rainfall. Bewitching - enchant and delight. In the Witch's Garden, where all spirit is alive, for all has been beckoned into a role of action within a growing cycle connected to the cosmos. Much enchantment and delight is birthed here. Whether we plant for pleasure, food, resistance, healing, or magick, we begin to cultivate a deep relationship with the earth and all her seen and unseen energies and entities. This relation can happen on the borrowed land in which we inhabit and within neighboring wild lands. This is where we begin to shed needless capes of captivity as we hold the season’s seeds in our hands, this is the journey back to who we really are, the journey back to the heart of the land, her fertile soil and the divine plant nation that grows from her. Land, guide. Sky, portal. Critter neighbors, familiars. Seeds, spells. Plants, healers. Compost piles, cauldrons. Rocks, fortune tellers. Sticks, wands. As we spend more and more time within the wild, tending, cultivating, observing and honoring, we become more receptive to the energies around us. The plants have a way of finding and opening up webbed portals of communication and feeling. Most that are drawn to this craft are already receptive in nature, although, socialization might become a little more intense to navigate as the feeling of surrounding space energy and all its entities heightens through the conscious learnings and unconscious transmissions from our natural world allies. This is why boundaries are essential in this type of work, seen and unseen, within those heighten energetic spaces we must protect our spirit from taking in too much of others’ energies or having someone (other entities residing in human vessels or intentional practicing occultist/s) capture pieces of spirit. Plants that reseed themselves within borders or paths in wild lands or gardens, I believe, enjoy being considered for boundary work and for different types of boundaries. 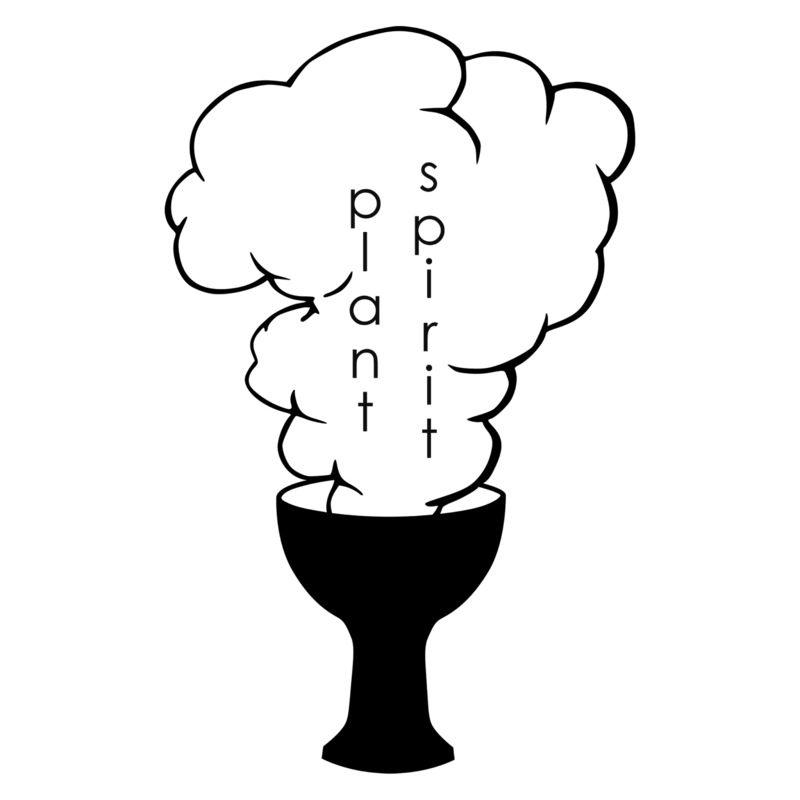 When posttraumatic episodes can be filled with reinforcement of light by letting plant spirits transform energy we may become less vulnerable to the cycle of negative emotions. In more severe cases I believe it’s best to connect with an experienced guide that can connect and walk you through a healing plant journey. Being mindful of how far our energy extends and how it affects space, in my opinion, is a great path to preventative protection. 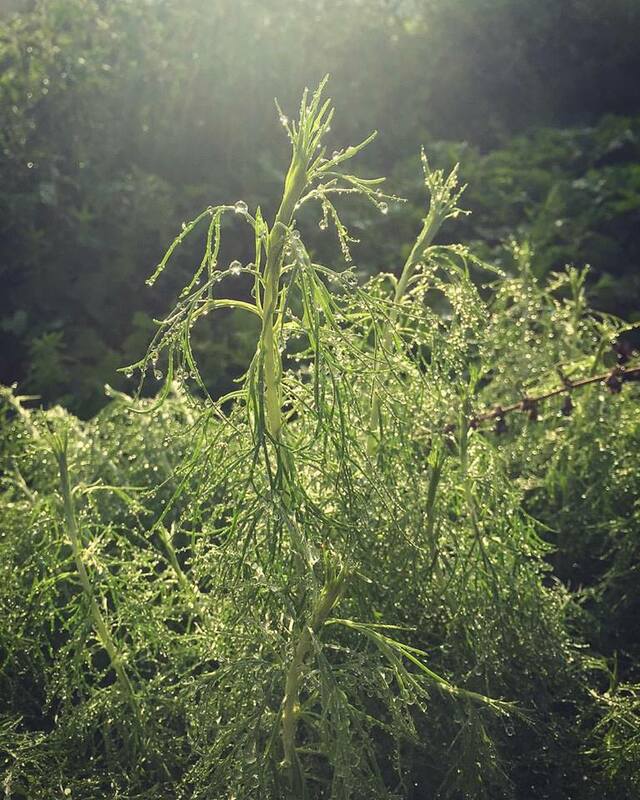 Various resilient plants that spontaneously vegetate can serve as great guides by welcoming in specific lessons that slowly reveal how our energy affects the universe, in return transforming paradigms that will greatly serve growth in awareness, making more room for many a magickal manifestations. Distinguishing points of entry and exit into our practicing sanctuaries and inviting specific boundary plant spirits to grow in and around these areas is a great way to cultivate and build plant protection relationships. It’s also cool to see who spontaneously pops up at your front door too, as in, which weeds happen to grow closer to your doorstep. Sowing seed or planting plants that you’re drawn to in relation and respect to the local ecosystem, plant nation, and people is much more insightful and fulfilling than planting from a list of plants for specific uses. We learn more about ourselves and local community this way. We see patterns this way - so many patterns. Like where the fire colored flowers grow in our gardens, or in the wild, and what patterns they make and when. A fun garden or local wild land energetic learning activity is making a chart with planets on top and your plant list vertically. 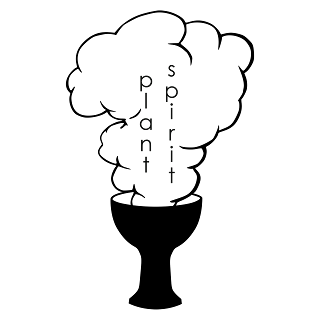 As you look up each plant’s planet association place a mark in the appropriate area on your chart. Check out the trends. Are there more plants in association with one planet than others? What can that energetic pattern reveal in our craft? You could also go deeper and note direction of plant (eg. yarrow – eastside of garden) and take your anaylaztion further. 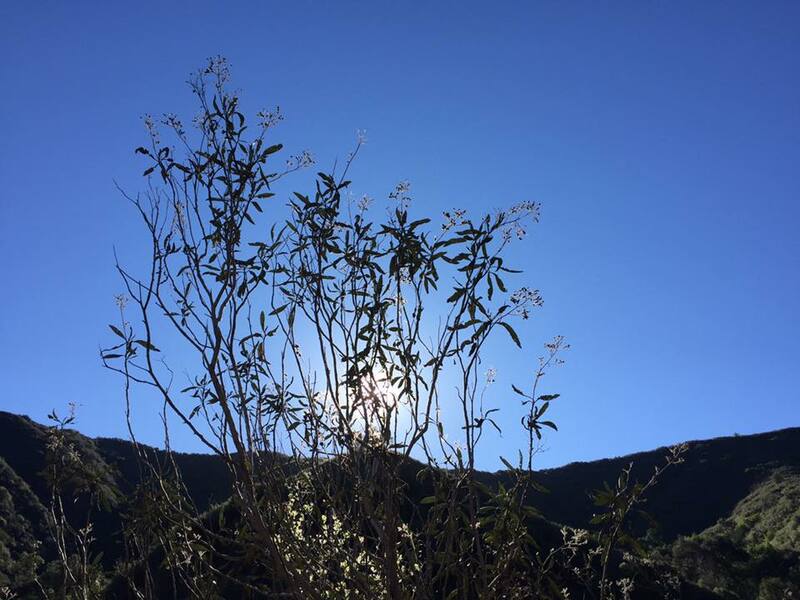 Our body’s waters; sweat, urine, blood, and tears are some of the most divine garden offerings and as most know some of those waters also serve as strong boundaries for setting our territory, so we must remain mindful when doing this in the wild. May we learn to sacrifice beauty for the garden, keeping cultivation to a minimal and may we remember that letting her be free with seed magic is an offering in itself. 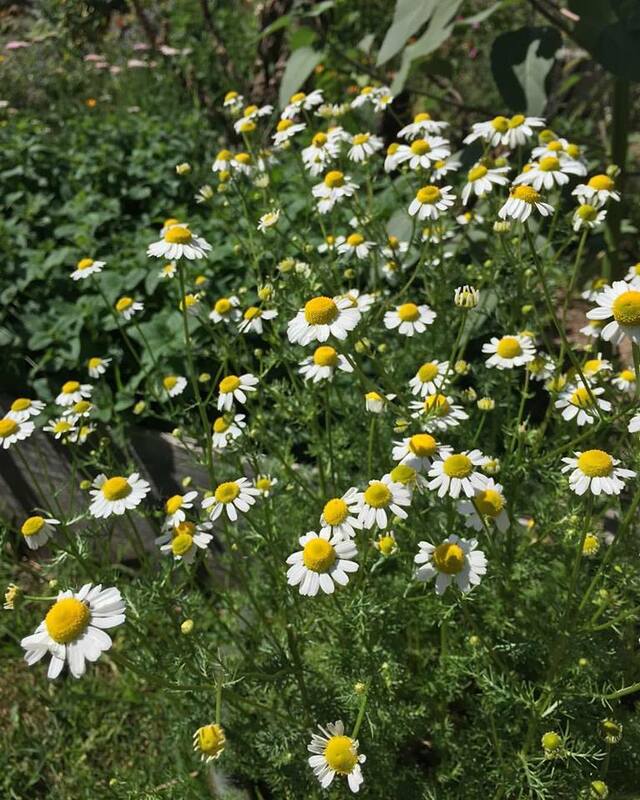 Other gardeners question the wildness, yet we stand strong and true in loyalty to her for the essential oil content, overall plant genetics and soil are stronger in a wilder garden than they are in a highly cultivated garden, plus birdsong and bug buzz is louder. 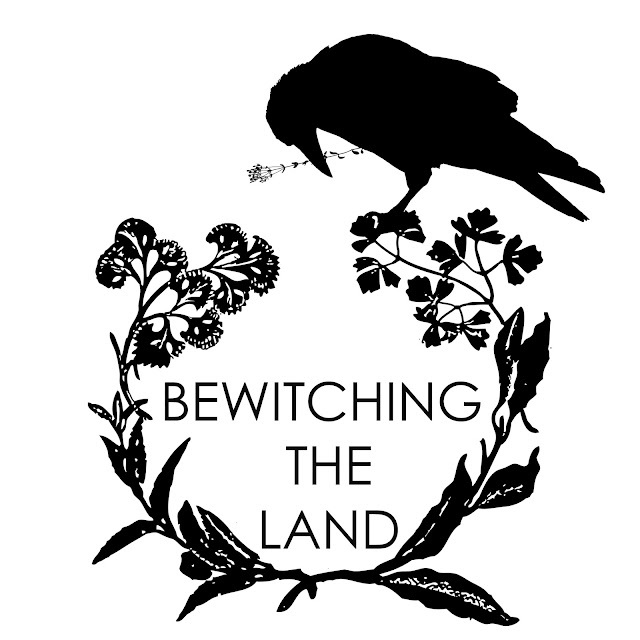 ‘Bewitching the Land’ blessings to you. May we continue to harmonize with the universe in effortless exercises awakening remembered practices of ancient alchemists for our generations and those to come. Opinion based post, as most. For more plant planetary resources check out Harold Roth, I enjoy his charts. *If working on wild land be mindful and do your research about the past and current stories of the land you are on. If possible, connect with local indigenous folk. John rubbing his hands on some white sage leaf as he gives thanks. None was taken, but medicine was received. Ignoring separation from the wild and not becoming educated about the historical use of our local land and prematurely beginning the 'relationship cultivation' to start "wildcrafting", especially native or endemic plants, in my opinion, attributes to the settler colonization mentality of wanting what was already here (people) to simply disappear after using up all energy and resources (nature). What Queens or Kings are awaiting reports of expedition profits these days? There are ecosystems that have been more affected than others from the harsh realities of ecological imperialism and colonization, like Los Angeles. 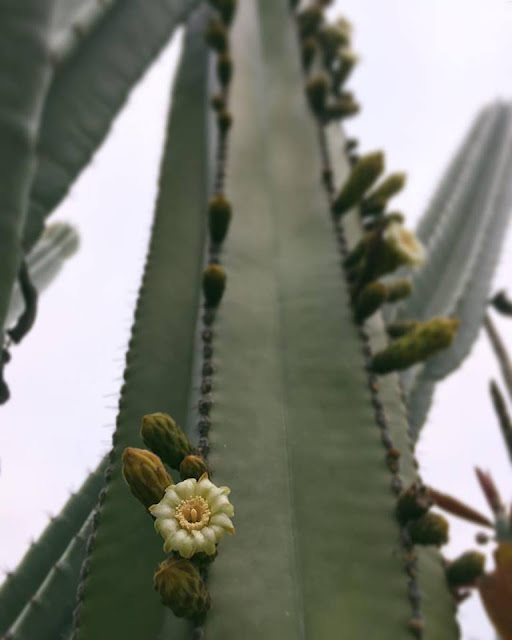 A plant may not be listed as threatened or endangered but its ecosystem might be, along with its inhabitants, everything is connected. I believe that land carries much spirit and because of that I always try to feel and understand the energy of a place in order to be aware of my actions. So much blood has been drenched into the soil we walk upon and to be ignorant of burial and massacre sites is a detriment to our healing paths and to the spirit of our medicine. For example, harvesting mugwort from a tortured site where many lives were lost might give you different dreams than mugwort that was harvested from a site that has been properly cleansed energetically. There are curanderas who solely focus on healing tortured or cursed/hexed land, these are stories you don't hear about on social media. Just a few months ago in Buena Park, CA, bones were found in someone's backyard and they turned out to be bones of an indigenous person. We are on native land, unmarked graves are everywhere, we must reclaim history in order to heal the land. An important thing to also consider is that most of us living in the modern world are not solely gathering for survival and that many herbal companies also ‘wildharvest’ for profit. Another angle to address in our modern world is the culture of social media. Too many times I have observed accounts with large followings sharing styled photos of wildharvests and very rarely are these folk's ancestors born from the land they currently inhabit. 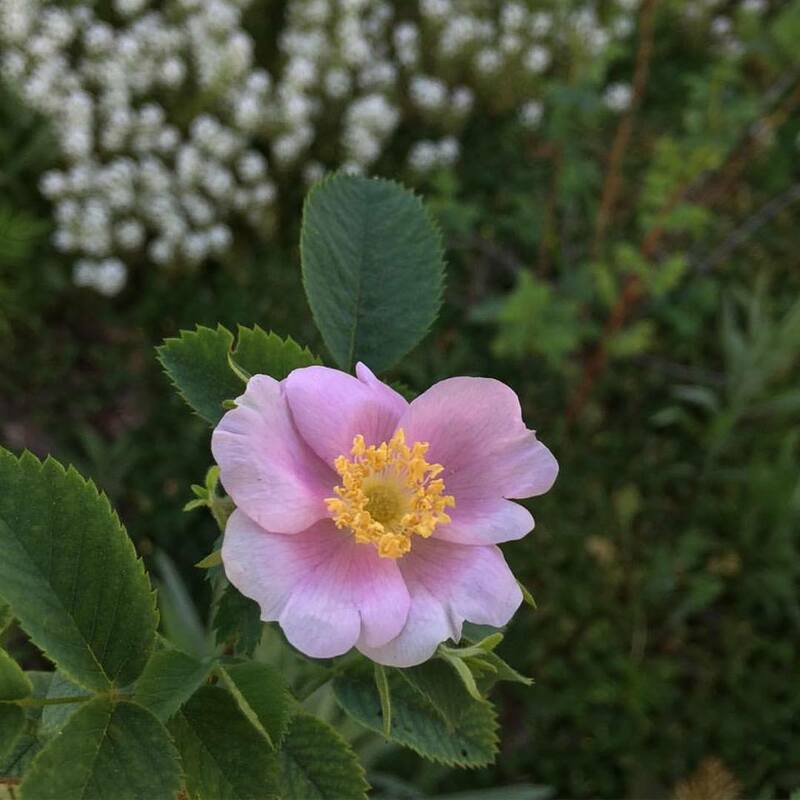 Don't miss an opportunity to share and celebrate native garden grown plants by forgetting to share your mindful sourcing. You will rarely see an indigenous person partaking in this kind of glorification at the sake of more ignorant ecological disruption. There is no room for that kind of behavior with protectors of the sacred. Don’t get me wrong, moving away from the consumer cycle by gathering plants for your own medicinal use is indeed a beautiful and empowering action especially if you are focusing on harvesting invasive plants, like Blaire pictured above, role modeling how to work with and support local land as an herbalist and Florida newcomer. For example, forage for mustard, with a focus on seed removal to allow native species to thrive. After all, mustard is made from mustard seeds. 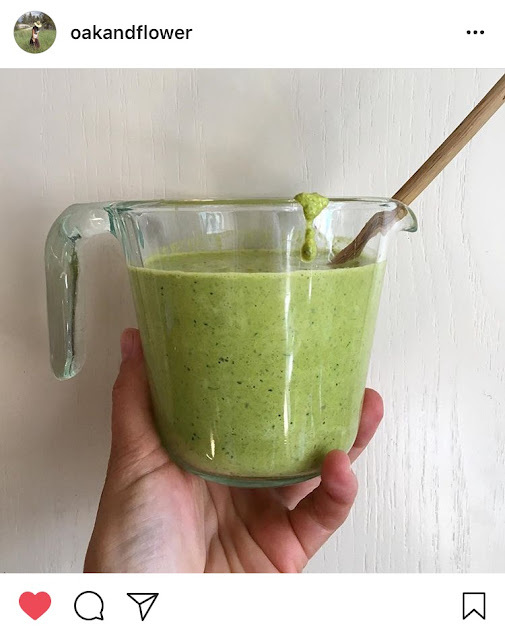 I've also seen a few folks make some sauces from mustard too, now that's good stuff to share on social media, check out Oak and Flower's instagram post below. Have a cough? Gather some horehound, it is not native to California, it comes from Europe and if not managed in dense patches its seed can be aggressive especially within island ecosystems making it more difficult for native seeds to establish. Need some liver love? Harvest milk thistle seedheads before they spread. Harvest tip: cut off milk thistle seed heads, leave in a brown paper or cloth bag, shake, and all the seeds will be at the bottom of your bag, super easy! These are examples of things you can learn when spending time in nature and researching your local land. oakandflower: I was feeling inspired after @poormansalad's post yesterday and decided to use black mustard flowers as the base for a spicy sauce. It's incredible. Fresh Brassica nigra flowers with red wine vinegar, olive oil, pine nuts, chopped capers, a little Greek yogurt, salt and pepper. It's a wild version of my horseradish sauce and I think I'm in love. Now for the ever common, take only 10% from a plant. Every time I hear this I look at the group it is being told to and then I times that number with 10% and then I also consider the status and range of the plant being discussed. This formula of sorts is not detailed in communication and can lead folks in forgetting to consider the status of a plant and its ecosystem before gathering. What, never wildcraft or gather?! No, that's not what I'm saying. Moving in and around nature should be practiced by a seasoned gatherer, no pun intended, who has spent many seasonal cycles either cultivating plants and/or (combo is great) simply observing the wild. If your blood does not carry that of the local indigenous folk it would be of great respect and honor to also reach out to those that are and ask for guidance and to volunteer for whatever the land may need. 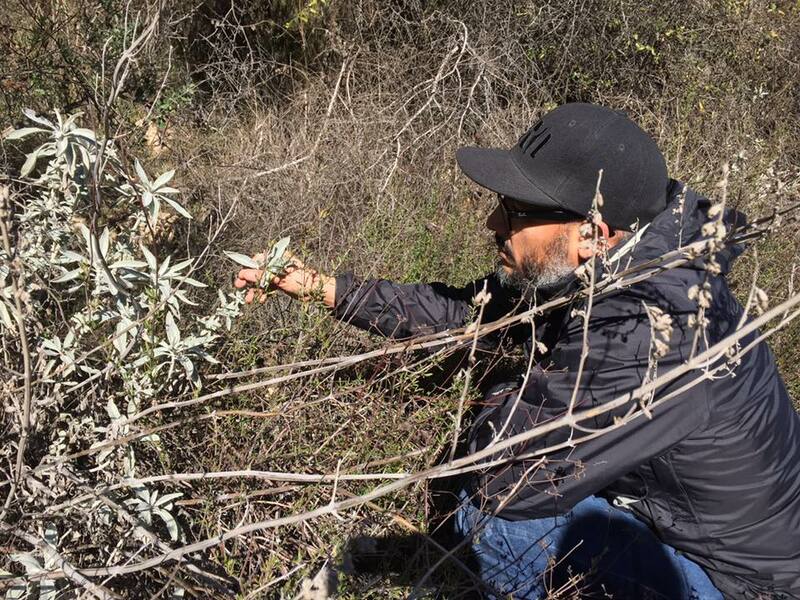 The trauma that can be resurfaced from "outsiders" coming in an harvesting native plants that your people have protected for generations is real, it hurts, it burns and it cuts deeper into wounds that are still healing. It is easier to take than it is to leave something, especially in America, where we value the sense of appearance and the power or ownership. A communication trend within 'wildcrafting' that I’ve also recently observed and have heard about is the practice of leaving an offering or saying a prayer before gathering plants. I think this is great and a kind way to work with nature but I really think there needs to be more emphasis on the sacrifices one endures to cultivate such a connection to the wild before gathering and leaving an offering. To me, that’s like making a whole bunch of withdrawals from an overdrawn bank account. I like the idea of making offerings season after season without gathering to build a relationship. These offerings in turn, I believe, become personal sacrifices that then transform themselves into the most beautiful and profound teachings. Just you watch, plants will start to arrive on your doorstep. In many traditions one must go through rites of passage before practicing certain crafts and rituals, again, with social media, as a culture we are painting a different picture for the viewer when harvests, rituals and sacred scenes are shared without a healthy and educational foundation for the viewer. The real work is rarely televised. Rosa californica in our frontyard. I owe this rose so much for her medicine, my thanks is growing her so that I am not reliant on wild sources. I'm speaking from experience here in LA friends, I drank some of the wildcrafting Kool Aid for just a second there but was quickly smacked upside the head by elders and plant guides, like, hello, you are rooted in growing my dear, stay focused. Transparency is essential for real discussion. My words come from not only my spirit but from the influential elders and spirit guides that have shared their voice and energy with me. Thank you for sharing, much gratitude. I too am always learning, for I am alive. Discussion, as always, is welcome. To know that folks care enough about my path to ignite such conversations makes me feel really really good about my craft.